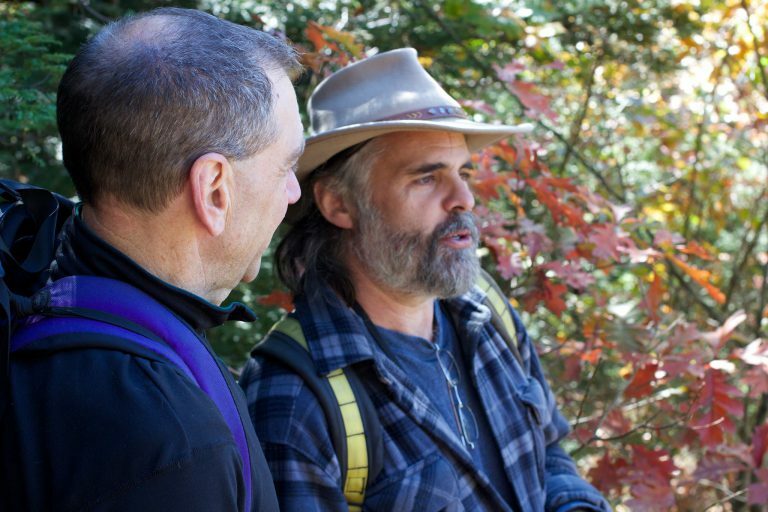 When Bob Tremblay joined GCC’s Outdoor Leadership Program (OLP) as its new Coordinator, he brought with him 34 years of experience sharing his passion for the outdoors with students and clients. Over those decades, Bob taught Environmental Science and Outdoor Leadership to high school students, mentored graduate students in Adventure Education and Education, and co-founded and directed a company that provided outdoor adventures to a wide range of customers. The thread connecting all of his work is his desire to continue facilitating and witnessing the power that outdoor adventure has to affect change in participants. Bob’s new position isn’t the first time he’s been involved with the OLP. In 1988, he spoke on OLP Outdoor Jobs Career Panels and when he owned his outdoor adventure company, he hired OLP graduates. Ask Bob about his favorite outdoor activity and he’ll tell you that he doesn’t have just one favorite. In his teens and twenties, it was long distance backpacking. In his mid-twenties to thirties, it was rock and ice climbing. In his forties, it was wilderness canoeing expeditions. In his thirties he also enjoyed dog sledding and raised, bred, and trained sled dogs for over 10 years, maintaining a team of 12 malamutes. His two favorite personal accomplishments in the outdoors were a north-south thru-hike of the Appalachian Trail in 1981 and a thru-paddle of the Northern Forest Canoe Trail in 2013. His favorite professional accomplishment was founding, owning, operating Mountain Lynx Outdoor Adventures, Inc. from 1991 – 2001. The Outdoor Leadership Program (OLP) offers comprehensive training in technical and group development skills necessary to lead adventure activities and programs. OLP offers a broad-based immersion experience across multi-season land and water activities. OLP maintains high industry standards across all content areas and is the only one-year leadership training program of its kind in the United States accredited by the Association for Experiential Education. OLP provides an intensive, community-oriented learning environment to develop leadership and teaching skills to the twenty students accepted to the program each year. The program’s unique competency ratings, along with nationally recognized certification requirements, provide a framework for technical curriculum. Who enrolls in the Outdoor Leadership Program? Bob explained, “Over the years, OLP has attracted a wide variety of students from diverse backgrounds and diverse careers. While some students have used OLP as their entry point to a college education, the majority of OLP students have come with some previous college experience with a large percentage having an existing undergraduate degree and many having a post-graduate degree in hand. The “typical” OLP student is often between the ages of 24 and 34, although we have had many students in their forties and fifties as well as students younger than 23. Many OLP students come looking to make a career change or to add to their skills set in their existing professions. The skills OLP students learn can be applied to such diverse fields as psychology, environmental education, physical education and health, recreation, retail, forestry, and more. For information about the Outdoor Leadership Program, visit www.gcc.mass.edu/olp or contact Bob Tremblay at 413-775-1126 or tremblayb@gcc.mass.edu.